Food is not just about taste, it is also about nutrition, safety and biodiversity. Speaking at the ‘Tasting India Symposium’—a brainchild of Sanjoo Malhotra and Sourish Bhattacharyya—at the India International Centre on February 28, Sunita Narain, director, Centre for Science and Environment (CSE), raised concern over growing obesity and the inclination to choose convenience food over healthy food. 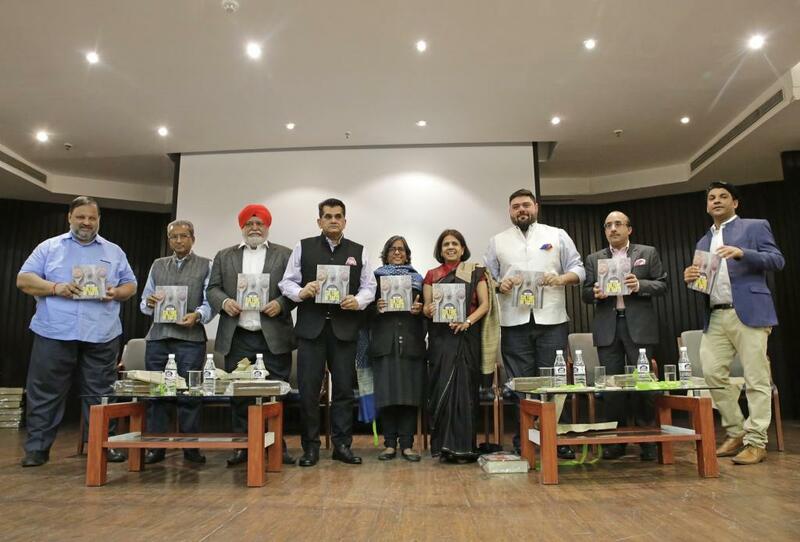 While releasing ‘FIRST FOOD: Culture of Taste’— a CSE publication that has a collection of close to 50 recipes that use local produce— Sunita referred to some of the findings that emerged during the research for the book. Explaining the need to connect the food we eat to the ecosystem where it grows and people who depend on it for livelihood, she cited the example of Makhana (fox nuts), which is grown in wetlands, tanks, ponds and lakes. “If we are not serious about saving our wetlands, which are the kidneys of our cities, we will soon lose something as delicious and nutritious as makhana. As we have an abundant evidence of how climate change-related events are affecting water bodies, it becomes our responsibility to keep the water bodies alive so that the people who depend on makhana don’t lose their livelihood and we continue to get the food on our plate,” she added. Her message was simple: if you lose biodiversity in the wild, you lose biodiversity on your plate. Colleen Taylor Sen, one of the leading historians on Indian and South Asian food, rued how young generation is lured by fancy food. “We need a strong marketing campaign that promotes good food and convinces consumers about various advantages of eating sensibly,” she suggested. “Our traditional food culture is built on two pillars: wellness and sustainability. We have to go back to our roots. This is where scientists and chefs have to come together. While scientists can help us reveal the importance of vegetables and spices, chefs can add romance to the food,” said Chef Manjit Gill, president of the Indian Federation of Culinary Associations. 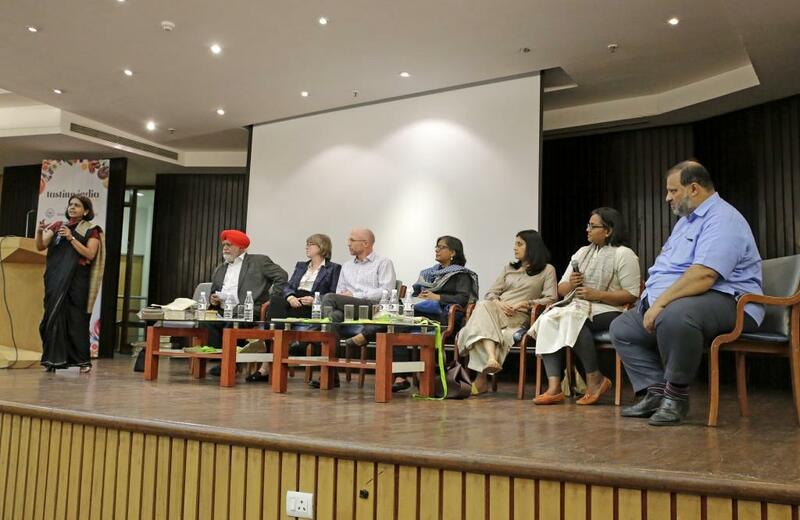 "India hasn't completely forgotten its traditional food culture and it can still set an example before the world by preserivng the age-old knowledge of preparing delciacies with indigenous produce," said Brent Loken of Sweden-based EAT Foundation. While Sangeeta Khanna, food consultant and a blogger, spoke about the sense of sacredness that was earlier connected to food, Bharati Chaturvedi, director, Chintan Environmental Research and Action Group, recollected how people in drought-hit regions used to value even potato peels and watermelon rinds. Vibha Varshney, Deputy Editor, Down to Earth, tried to bring people’s attention to foods that go waste because there’s no one to collect them. “I urge today’s chefs to keep their eyes open and look for indigenous plants and edible flowers that grow all around us so that they can use them to create wonderful cuisines. In Delhi, so many mulberries and hedge nuts go waste because there’s no system to collect them. I wish the government takes note of this and puts a system in place to ensure that these foods don’t go waste,” she concluded.